Tell us about your role and journey into technology. What inspired you to start Dynamic Signal? I started the company with people I worked with for years. I’ve been involved with six different start-ups in my last 23 years in Silicon Valley, and that time has been spent bringing new innovative technologies to the largest companies around the world. What is the current state of employee engagement in 2019? This year is the year of employee communication and engagement. This is a high priority for every major organization, not just for a competitive advantage in a tight talent market. Employee engagement is being recognized as a critical initiative for business success. The expectations around employee experience have evolved. But being engaged begins with being connected. Employees expect to feel empowered, equipped, and activated to have a voice. CFOs and CIOs of today’s businesses are keenly aware that the existing infrastructure doesn’t meet the mobile, real-time expectations of today’s workforce. CFOs have quantified the economic value of more engaged and activated employees on growth and profits. How do you position Dynamic Signal in the highly competitive Cloud-based employee engagement industry? 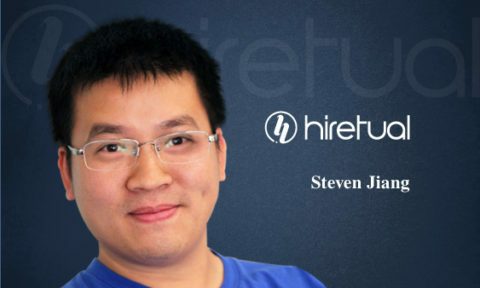 We think of it as a platform for companies to be able to work with all of their employees. Generally, the front-line workers have been left out of the engagement initiatives over the last 20 years because of a lack of appropriate technology. For many of our customers, well more than half of their employees are still getting news and updates from the break room or through general announcements. Now, they’re able to get this and more through a modern, searchable interface. For our customers with more knowledge workers, they have the same issue of information overload, low engagement on the intranet and on their HR tool sets, so our platform allows companies to let their employees know what they need to know, whether it’s about content that is traditionally within a newsletter with low open rates or intranet with low visit rates and delivers it through their mobile phones. From the time you started Dynamic Signal, how much have the employee communication and engagement platforms evolved? It has evolved tremendously for a few reasons. For one, the changing demographics of the workforce has led to lower tenures for the average employee and company — so making larger investments in companies and making sure they’re understanding what’s happening in the world is a big priority. Beyond that, the full penetration of the mobile phone has changed the way companies operate and engage with their employees. It’s only within the last five or so years that we’ve achieved 100% penetration. How would you identify the biggest advantages of leveraging employee engagement using automation and analytics? There are a certain set of things you want to send to employees that will programmatically come out of other systems. So, making it easy for your employees to receive information about the tactical things about work — pay stubs, schedules, emergency announcements — that otherwise live in systems that are less accessible, is super convenient. Having these items accessible at any time, through technology, is a massive benefit to employees. Everything starts with the product. There were many years into this company that we spent developing the product before we invested in sales and marketing. You can have whatever pitch you’d like in the market, but if customers view you as a leading company and product in the space that their employees will actually use, nothing else matters. How do you mentor your Product Marketing and B2B Commerce teams at Dynamic Signal? The same way you would with any other employee. Of course, internal management matters, but with products, we make sure our teams spend a lot of time with the salesforce, customers and our actual product. Too often, you can run into issues with people who fall in love with their own ideas and the sound of their own voice and its always humbling to take your best ideas to customers and hear their feedback. What does your technology community look like? Who do you meet at events and conferences to discuss HR technology? We have a deep relationship with a lot of partners in the world, such as the leaders at Cisco, Microsoft, and Deutsche Telekom. We spend time with them and other large companies that are partners or customers in different ways. I mostly go to different conferences for much more commercial reasons as it relates to our customers, business and partners. Which HR technology Cloud, AI and Automation tools and technologies do you currently use? Our HR stack here is Dynamic Signal, ADP, Jobvite and OneDrive. What are your predictions on the most impactful disruptions in the employee engagement technology for 2019-2020? For the last few years, it’s been the mobile phone and for the next few years, it will be the mobile phone. 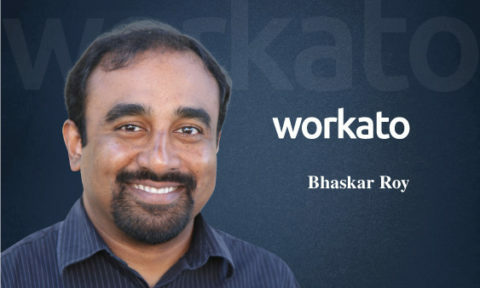 People are just starting to understand how transformative having an always-on, constantly connected supercomputer is for your global workforce. We’re many years away from fully capturing the value and fully understanding the dislocation from the power of everyone having mobile devices in their pockets. We’ve really invested in our category and worked hard to invent the space we’re in now, but we’re watching what Gainsight has done around creating and establishing category leadership. I think they’re a special company in that regard. There are tons of changes in the productivity space, so we’re always looking at what Microsoft teams have built as well. How do you prepare for an AI-centric world as a business leader in HR technology? Our perspective starts with what can we build into our product to help make the lives of HR professionals and communicators easier as they look to drive engagement with their own employees. Some will be on the reporting, content or learning sides, but beyond that, we should also look at the health of our employee base. As much as there is much that we do around AI at Dynamic Signal, I think that when you’re in the HR and B2B spaces, people care less about the buzzwords and more about the results that we help drive with their employees. Frankly, I don’t know that we have to inspire people to work with technology. One of the lovely things about being in the Silicon Valley and building a company here in today’s technology industry is that the type of people you attract are already fundamentally inspired to work in the industry that is changing every other industry around the world. 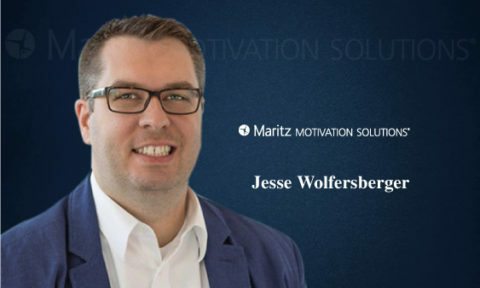 Obviously, we spend a lot of time inspiring our employees and talking about what we can do better for our customers and looking to areas of growth and improvement, but I don’t think we have to spend much time at all inspiring employees to work with technology. Internally, it would be impossible to work without collaboration suites like Microsoft Teams. Salesforce and Gainsight are helpful in running our business. If it weren’t for those three, I’m not sure how we’d run Dynamic Signal. Personally, I use Twitter and podcasts. At the moment, I am finishing “Grant” by Ron Chernow. I try to jump back and forth between books that are tactically valuable and interesting from a business standpoint, but otherwise, just interesting in life about leadership. I think Twitter is the best way to stay up to date about anything happening in the world. But otherwise, I mostly read books. I generally blame myself for almost everything that’s wrong. It makes life much easier and you can focus on solving things. Tag the one person (or more) in the industry whose answers to these questions you would love to read. Broadly speaking in the technology industry, Nick Mehta from Gainsight is very thoughtful about how he built his business. In the HR tech space, probably Mark Hurd from Oracle, given his enormous experience running technology companies in so many different spaces and phases of growth over the years. Thank you, Russell! That was fun and hope to see you back on TecHR soon. 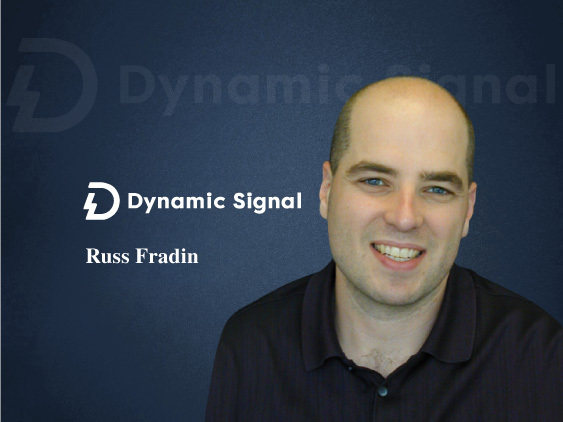 Russel Fradin is CEO and Co-Founder of Dynamic Signal — an Employee Communication and Engagement Platform, which connects organizations with their most valued asset: their employees. Dynamic Signal, the Employee Communication and Engagement Platform, connects organizations with their most valued asset — their employees. Hundreds of enterprise organizations, including more than 20 percent of the Fortune 100, trust Dynamic Signal to modernize, streamline, and measure their communication and engagement with one platform to reach all employees, wherever they work. Based in Silicon Valley and founded in 2010, Dynamic Signal’s customers include IBM, Edelman, Capital One, Salesforce, Autodesk, Deloitte, Humana, Hitachi Data Systems, and more.